My Hosta ‘Halcyon’ is an unusually beautiful powdery blue and until last year had always stayed this color all season. Last spring I moved it to another area in another garden because I wanted to showcase this hosta’s lovely color, and to my surprise after a few weeks the color had changed to the rather dull blue that is usually seen in photographs of this hosta. I moved my Halcyon back to its shadier old home again last fall, and I was happy to see that this year the hosta’s coloration is back to that powdery blue that is so striking. Halcyon produces a lot of seed pods and has given me some interesting seedlings, including a few with that same lovely color. I have had a beautiful Halcyon Hoata for 4 years and it is a wonderful powdery blue. My only complaint is that it hasn’t grown to the height and width stated when I bought it. It has remained quite short. I planted it at the back of a narrow shaded border along with Japanese painted fern (which has grown and spread). I hesitate to move it because the color is so pretty where it is. Can anyone tell me what I should be doing to encourage growth? Many of my hostas have grown quite large without any particular care, and I sure wish Halcyon would follow suite. Also both of my June Hostas failed to survive the winter (zone 5) :-(. I have this hosta and I have found it to be very slow growing. It is just now after 4 years starting to really take hold. Maybe the location is not good, poor soil etc. or not enough light. Just some thoughts. I am so excited! 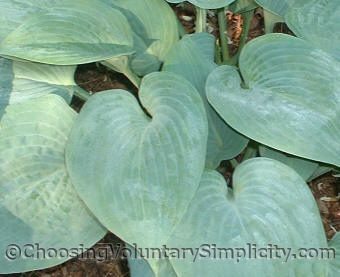 I just bought 8 hosta’s all different at an incredible discount. They are good size plants and look healthy. One is a halcyon. Now I just hope it will get to be as beautiful as yours. Right now it is just a plain blue but I am hopeful. Thanks for this wonderful site. 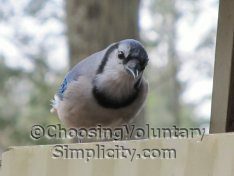 That is a gorgeous blue. I can see why you thought it was worth moving your hosta back into its original place. 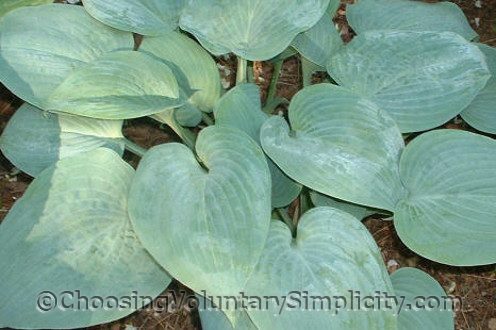 I have added this hosta to my “Wish List” after seeing these photos.